Alfred Peet — founder of Peet’s Coffee, grandfather of specialty coffee in the U.S. — died this week. 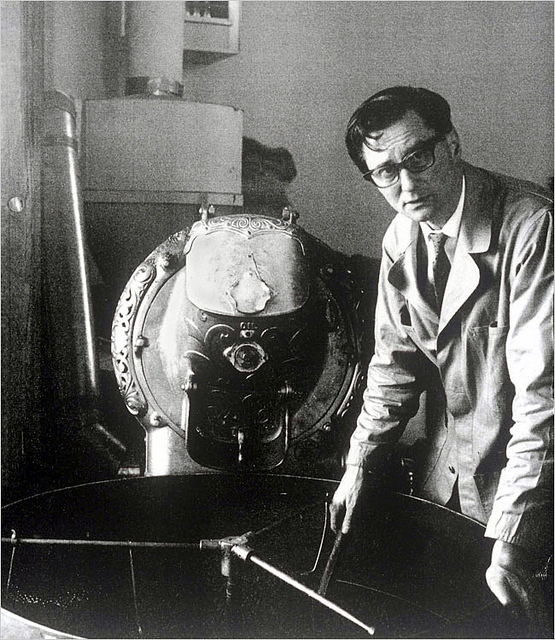 Mr. Peet opened his coffee shop at the corner of Walnut and Vine in Berkeley, California in 1966, and awakened the American palate to the high-grown, high quality coffees of Costa Rica, Guatemala and East Africa… coffees that his father had roasted in the Netherlands prior to World War II. More, he helped to establish a uniquely American coffee house culture. Walnut and Vine became a gathering place; a hang-out for musicians and artists, writers and radicals. Alfred was an inspiration to most everybody in the specialty coffee trade. He famously schooled Starbucks’ founders Jerry Baldwin, Gordon Bowker and Zev Siegl on the fundamentals of coffee roasting when they were purchasing more coffee for their Seattle store than Peet could roast, himself. His signature deep coffee roast — pungent, smoky, but still distinctive of its origin — became the hallmark of “West-coast” styled roasting. Alfred Peet always wanted his coffee to tell his story. For forty years it’s done just that.